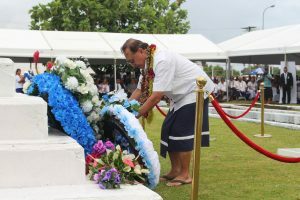 The New Zealand government will fund a training center for medical professionals in Samoa which will ensure proper health care is provided to ensure the tragic events of the 1918 influenza epidemic does not happen again. 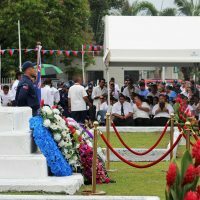 Prime Minister Tuilaepa Sailele Malielegaoi said it was a tragedy that affected every family in Samoa during his speech at a special commemorative service to mark 100 years since it decimated more than 8000 of the total population. There was also a call for forgiveness by the country’s leader. Tuilaepa took the opportunity to call on the country’s doctors and nurses to ensure that they provide proper care for the people they serve. He said this should be a wake up call for the medical profession to step up and show better commitment to their callings. Doctors and nurses have recently been locked in a power struggle in the wake of a move to combine the Ministry of Health and the National Health Services. Tuilaepa said the reality of the tragedy was stark for a small island with dire consequences.